The senior pilot was also accused of sexually harassing a female colleague, a case that his friends in the national airline reportedly strove hard to cover up. Captain Kathpalia was supposed to fly a Boeing Dreamliner to London when he failed the test on Sunday. The removal of senior pilot Captain Arvind Kathpalia from the Air India board has been widely praised, with many terming it as the ailing national carrier's first step towards getting its act together. Captain Kathpalia tested positive for blood alcohol on Sunday, after which Air India suspended his flying licence for three years. This was strike two for the senior pilot, whose licence was earlier revoked for three months last February on charges of circumventing the mandatory pre-flight breathalyser test and manipulating medical records. However, there is more to the story than what meets the eye. NDTV has found that soon after Captain Kathpalia was handed out his three-month suspension last year, he was promoted from his position as an Executive Director to the Director of Flight Operations at Air India for a five-year period. The rationale behind promoting a pilot accused of forging an alcohol test and flying a plane after skipping the mandatory medical screening eluded many at the time. 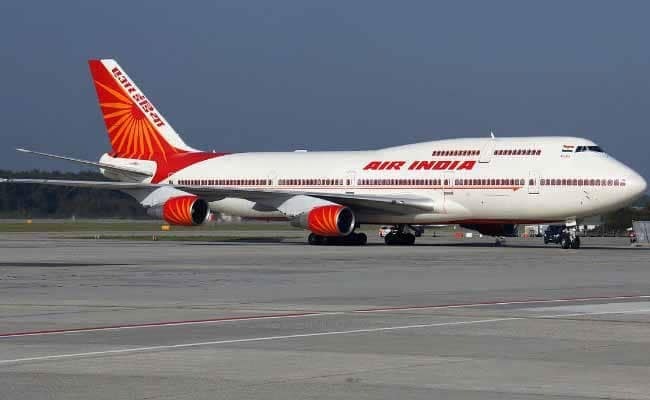 The Indian Pilots Association even filed a writ petition with the Delhi High Court, urging Air India to explain the circumstances under which such negligence had occurred. 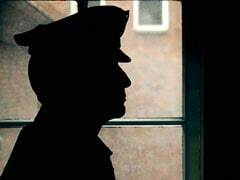 The Delhi Police also registered an FIR in the case that August. This time, however, Air India and the Directorate General of Civil Aviation (DGCA) are conducting separate probes against Captain Kathpalia. He was removed on a directive from Union Minister of Civil Aviation Suresh Prabhu. While the action against the senior pilot is a reaffirming step, it comes a little late in the day. He has a series of misdemeanours to his name, highlighting the nexus that allegedly enables dubious practices in national air carriers as well as the Directorate General of Civil Aviation (DGCA). While short-circuiting mandatory medical check-ups is one such issue, there have also been allegations of sexual harassment against Captain Kathpalia that sources say were covered up by the pilot and his friends at Air India. Incidentally, the senior pilot's father, GR Kathpalia, worked with the DGCA for over thirty years. Captain Kathpalia is an important man in the national carrier too, having flown many dignitaries -- including former Prime Minister Manmohan Singh -- on their travels across the globe. The sexual harassment controversy first broke out nearly 10 years ago, when a senior woman pilot with Air India alleged that she was targeted by Captain Kathpalia while she was still undergoing command training. The way her complaint was covered up is a stark portrayal of how influential men's clubs in the airline help people with dubious track records get promoted to high positions. The woman told NDTV that the committee constituted to probe the case was heavily biased in favour of Captain Kathpalia, and all its members seemed eager to clear his name. She alleged that the senior pilot used to come late to each meeting, and when he did, the panel members would let him cross-examine her while denying her the same courtesy. The woman also filed a complaint with the police, but the case wasn't taken up by a sessions court until 10 years later, in 2015. She said that when the matter did come up for hearing, Captain Kathpalia kept skipping court appearances until he was eventually cleared of all charges for lack of evidence. The woman said she did not speak up against Captain Kathpalia for two years after the incident for fear of being labelled as a "sensitive girl" who "doesn't know how to fly" by higher-ups who supported him unconditionally. "He never looked me in the eye after the incident because he knew he was guilty. But in the end he got what he wanted, like he always has. When I read about the #Metoo accounts being shared online, I wondered if coming out with my story once again will mean anything to this man... But if his licence has been revoked for three years, he's got what he deserved." Other charges against Captain Kathpalia pertain to faking his date of birth in an attempt to delay his retirement and colluding with administration staffers to the extent that fellow pilots he got drunk with were caught in breathalyzer tests while he was given a clean chit. Air India hasn't clarified if the sexual harassment charge was a factor in its decision to sack the senior pilot. It did not comment on the other charges, including the attempt to manipulate his date of birth and influencing alcohol tests, either.